So this month has been very busy to say the least but we were pleased to be invited to be a part of the Solent gardeners fayre & craft 2016 once again! The Rotary Club of Southampton held this fantastic event on Sunday, June 5th, between 10:00am and 4:00pm. The weather was gloriously hot, the parking free and there was plenty to see and buy.The Mayor of Eastleigh joined the event to visit over 50 gardening exhibitors as well as 20 craft exhibitors. 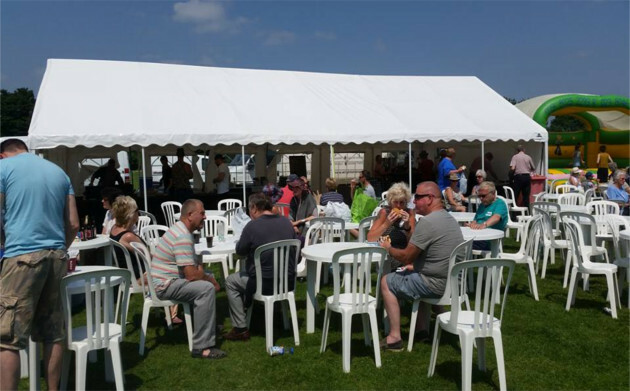 We provided our bar with lots of refreshing cold drinks along with tea & coffee as well as hot food including delicious beef burgers, sausage and bacon baps and vegetarian options. We were certainly very busy and couldn’t fill our tea urns fast enough!! We would like to say a massive thank you to Southampton rotary for allowing us to be a part of this wonderful day to raise funds for local charities. This is definitely and event not to be missed and we hope to be a part of it again next year.